Latinos Are Almost Twice as Likely to Die in Construction Accidents | Carro, Carro & Mitchell LLP "
At Carro, Carro & Mitchell LLP, we have written extensively and spoken publically about the high rate of injuries and deaths on construction jobsites. We have worked equally hard to bring attention to the heightened danger faced by immigrant New Yorkers who often must take unsafe jobs because their options for work are limited. But a recent article in the New York Daily News revealed that Hispanic immigrant construction workers are dying on the job in New York City in disproportionate numbers. 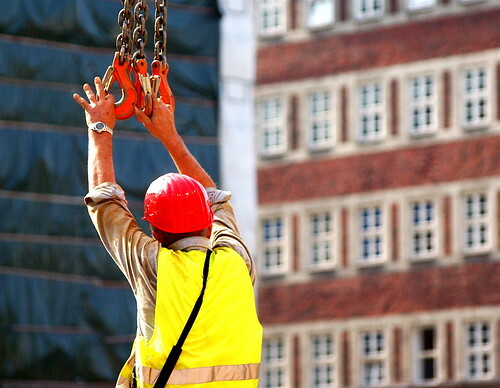 It is important for injured construction workers to contact a construction accident lawyer. NYC construction laws need to be more clearly defined and enforced. According to census figures, 41% of all New York City construction workers identify themselves as Latino. But 74% of construction workers killed in construction site falls were either U.S. born Latinos or immigrants. Statistically, Hispanic construction workers are almost twice as likely to be killed in a fall at work as their non-Hispanic co-worker. The clear implication of this is that Hispanic workers are placed in the most dangerous situations and are not provided with proper safety equipment. For example, in 2011, one Hispanic New York City worker was shocked by a live wire and fell 92 feet to his death. Another was pouring concrete at a site in Brooklyn when the fourth floor collapsed, crushing him. Despite laws in place to protect workers, contractors too often cut corners to save time or money. And now, the real estate and construction industry is seeking to eliminate those laws which hold building owners and general contractors strictly responsible when workers are injured due to unsafe scaffolds. Carro, Carro & Mitchell and other legal groups are fighting to preserve the laws that protect construction workers. As shown by the frequent serious and fatal accidents involving Latinos, they are at great risk as they perform the hard work of building our city. If you or someone you know has been seriously injured on the job, consult with a construction accident lawyer. NYC construction workers need to be better protected on the job.